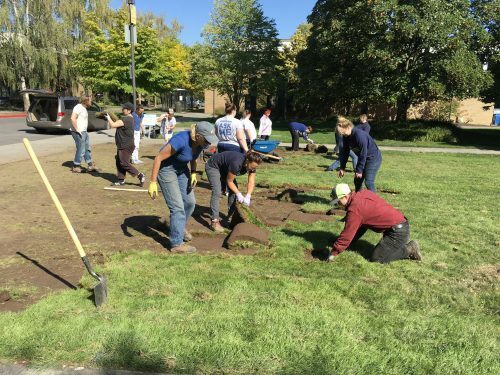 A long-awaited vision took its early steps toward fruition in September when ground was broken for the new Learning Garden at Portland Community College’s Cascade Campus. The garden has been the ambition of student leaders at Cascade for more a decade, said Kendi Esary, manager of student life and leadership programs at the campus. The garden will serve both as a source of food for the campus community and as an academic resource, said PCC Sustainability Manager Briar Schoon. The food grown at the Cascade Learning Garden could be distributed to students by way of the campus’ Panther Pantry, or through a farmstand like the one at PCC’s Rock Creek Campus, Schoon said. The garden will model best practices for urban gardening, she said, which are designed to maximize food production in a relatively small space. 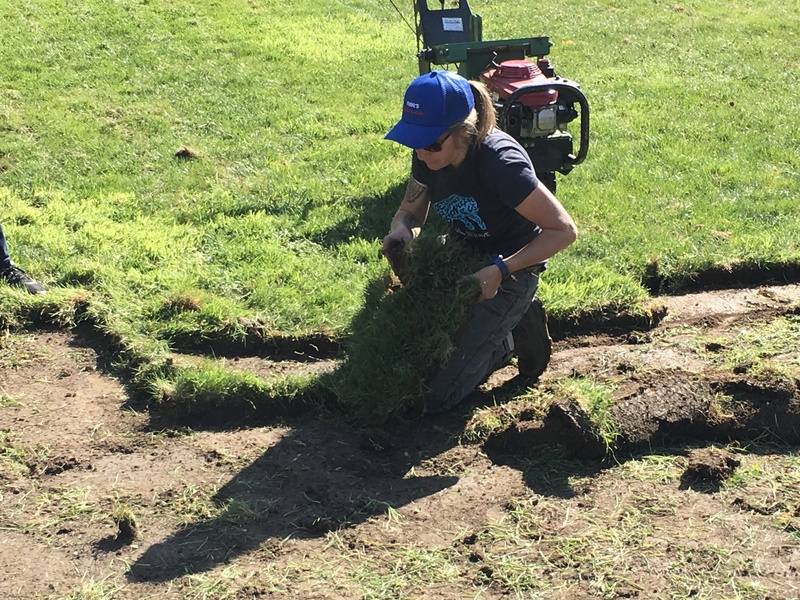 She added that the learning gardens at other PCC campuses are used to enhance the learning experience by instructors from across a range of academic disciplines, from biology and chemistry to poetry and creative writing. The Cascade Learning Garden represents the completion of one of the goals of PCC’s overall Climate Action Plan, Schoon said, which is to create learning gardens at all four of the college’s comprehensive campuses. The Cascade garden joins those already in place at PCC’s Sylvania, Southeast, and Rock Creek campuses, as well as at the College’s Newberg Center. It is expected to be complete by mid- to late-2019. “It’s been a long time coming,” Schoon said. Congratulations to everyone at Cascade and especially to those champions who have worked on this so doggedly! Huzzah!